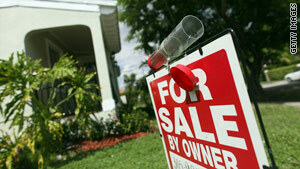 House Speaker Nancy Pelosi has indicated she also is interested in extending the homeowner credit. Washington (CNN) -- Senate leaders have reached a tentative deal to extend the first-time homebuyers' tax credit that was originally passed earlier this year as part of the stimulus bill, Republican and Democratic sources told CNN on Wednesday. The agreement would extend and expand the credit to include current homeowners who want to move, according to the sources. Senate sources told CNN they have tentatively agreed to extend that $8,000 credit for first-time buyers until the end of April. In addition, they are adding a $6,500 credit for some current homeowners who buy a new residence by then. To qualify, current homeowners must have lived in their primary residence for five continuous years. Senators have not agreed on how the tentative deal would come up for a vote, but sources from both parties said they are considering adding the housing credit to a bill that would extend unemployment benefits. House Speaker Nancy Pelosi has indicated she also is interested in extending the homeowner credit, but House leaders have yet to endorse any one bill. CNN's Ted Barrett, Dana Bash and Lisa Desjardins contributed to this story.